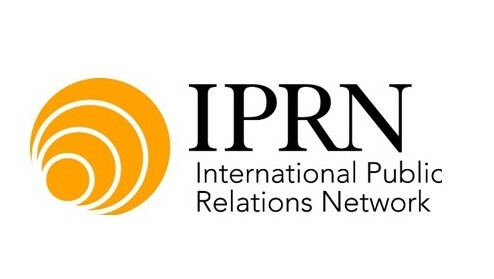 The International Public Relations Network (IPRN), a leading organisation of independent public relations agencies representing more than 40 countries, announced that it has expanded its global reach with the addition of eight new member agencies from numerous countries in the world. "The member growth in Q1 of 2019 is indicative of the growing power of global collaborations in the public relations industry," says Nicole Capper, MD of MANGO-OMC, the South African PR agency in the network. Capper adds, "The massive shift in the nature of PR due to changing technologies, coupled with growing globalisation and an undoubtable need to remain ahead of the skills game has meant that, as an agency, we’ve had to find ways to remain relevant. Partnering with the IPRN was one of our strategies in 2018 – one that has definitely shown value." The new firms join a growing number of public relations agencies (46), making the IPRN one of the world’s largest independent agency networks, with reach in North and South America, Western and Eastern Europe, the Middle East, the Far East and Australia. The combined fee income of these members exceeds $5-billion USD and represents a total staff of more than 7 000. The organisation’s goal is to provide local knowledge and global reach for all clients who require PR and communication activities in markets around the world. In addition to networking with international contacts, members have access to local media opinion leaders, award-winning case studies, resources and people on the ground with local knowledge and hands-on experience in the specific market. "IPRN is vital for agencies who want to expand their capabilities to conduct global work. We welcome our newest members and are very happy with our strong growth in the last year," adds Luis Gonzalez, IPRN president. Capper says, "Last year, IPRN had its biggest new member growth to date. I believe that with the political and economic uncertainty across the globe, brands and companies are looking to explore new territories and understand untapped markets." "South Africa and the rest of Africa is this, and potentially a lot more. Dealing with a PR agency within the territory you are speaking to, who understands the nuances of working locally, certainly offers a much higher success rate for most PR campaigns," Capper adds. Each year, one member hosts the IRPN’s Annual General Meeting (AGM). The meeting aims to foster personal, professional and cultural relationships for member businesses. The 2019 AGM will be held in May 2019 in Warsaw, Poland. Pawel Bylicki, IPRN chairperson and owner of Public Dialog, the member agency hosting the event, says, "Public Dialog is very proud to organise this year’s conference and to welcome our associates from all parts of the world to Warsaw. The five-day event will include programmes that continue to develop our members’ international capabilities." For more information, visit www.iprn.com. 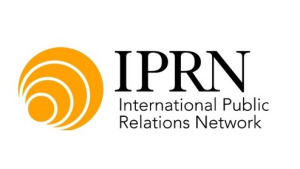 You can also follow IPRN on Facebook or on Instagram.